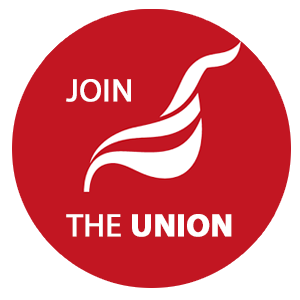 Unite members are being urged to sign an open letter to the housing minister James Brokenshire demanding combustible cladding like that used on Grenfell Tower be stripped from all buildings. Brokenshire announced yesterday (October 1) that combustible cladding will be banned from use on all new builds. However campaigners say the government’s “disgraceful” efforts to remove flammable material already covering many residential high rises and other buildings are putting lives in danger. The Fuel Poverty Action letter, which has been signed by more than 50 organisations, MPs and prominent individuals says “the government’s history on this issue is disgraceful”. It states, “Eleven months after the Grenfell fire, when the announcement (to fully fund the replacement of cladding on social housing blocks) was made, only 7 out of over 300 tower blocks had been re-clad. “On a third of the 158 social housing blocks deemed to be in danger, work had not even started. People who were initially told they could move out of dangerous buildings have been denied the opportunity to do so. “On private blocks, leaseholders have been told to fund the works themselves – which they cannot afford – or continue to live in a fire-trap. Leaseholders in these blocks often have trouble meeting even their normal heating bills, and many go cold each winter. As well as demanding that Grenfell survivors be suitably housed in an area of their choice, the letter calls for the government to urgently enact its promise to “fully fund” the replacement of flammable cladding on social housing blocks. The government should also cover the initial costs for making private housing safe and then seek to recover the funds from landlords, developers and contractors and ensure alternative housing is provided for those forced to move when work is being carried out, the letter says. Additionally, tenants living in buildings where cladding and insulation has been removed should be provided with special measures to protect them from cold. 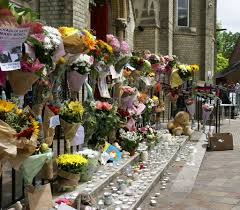 Head of Unite Community Liane Groves said, “The Grenfell Tower tragedy destroyed lives and caused unimaginable pain and suffering for the survivors and surrounding communities. What happened must never be forgotten or be allowed to be brushed under the carpet. Groves added, “Last week we spoke to Unite Grenfell members and promised we would continue to call for justice and change from the lessons coming out of the aftermath. The letter will be handed to secretary of state Brokenshire following a demonstration outside the Ministry of Housing, Communities and Local Government in London on Wednesday October 17. To sign the letter click here. Personal abuse or attacks on an individual. Information which breaches another person's right to confidentiality. The use of offensive language, including swear words, or language which is racist, sexist, or otherwise breaches equalities standards. Anything that might place the Branch or the wider union in legal jeopardy. Adverts or information which is posted for commercial gain.